Luke Meers takes a close look at one of the latest objects of desire produced by Trek and analyses the features it offers on its trajectory to bring us satisfaction. But will it satisfy? Desire is a funny thing. Princess Leia would say that the more you tighten your grip, the more of it would slip through your fingers. Psychoanalyst Jacques Lacan described us as being motivated toward the object we desire by something else: the thing/object that causes that desire (normally a lack of something). If you are reading this, chances are you have a desire for a brand new, shiny, fast road bike (me too!). The Trek Emonda ALR5 is an interesting prospect, harking back to the 90s with its aluminium frame but staying firmly in the present with high tech fabrication technology and evolved frame design. 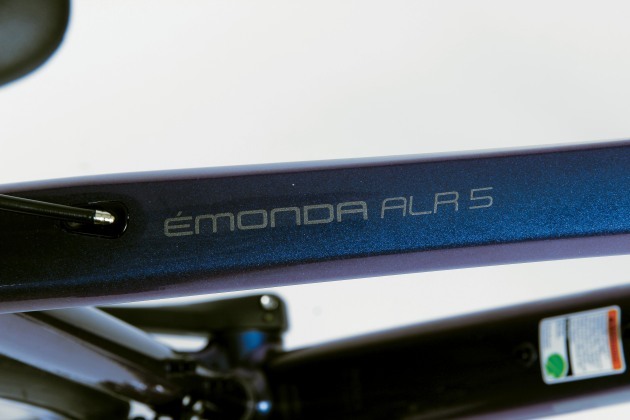 The most obvious talking point about the new Emonda ALR range is the aluminium frame. There has been a move in some sectors of the market back to the perceived inferior material of aluminium. In the age of carbon, this move is a good one, at least from a marketing point of view. Improved fabrication techniques now mean that the technical aspects of aluminium frames can more more closely match their carbon successors. Specifically, the hydroforming process allows a range of tube profiles and shapes to be produced that were never possible in the aluminium “heyday”. Is Alloy The New Alloy? Hydroforming is the process of taking a regular profile tube and using internal fluid pressure to force the tube to take the shape of the surrounding mould. This process is sometimes repeated several times during frame manufacture. The multifaceted benefits of this process include the ability to strategically design tube shapes specific to the loads to which they will be exposed. 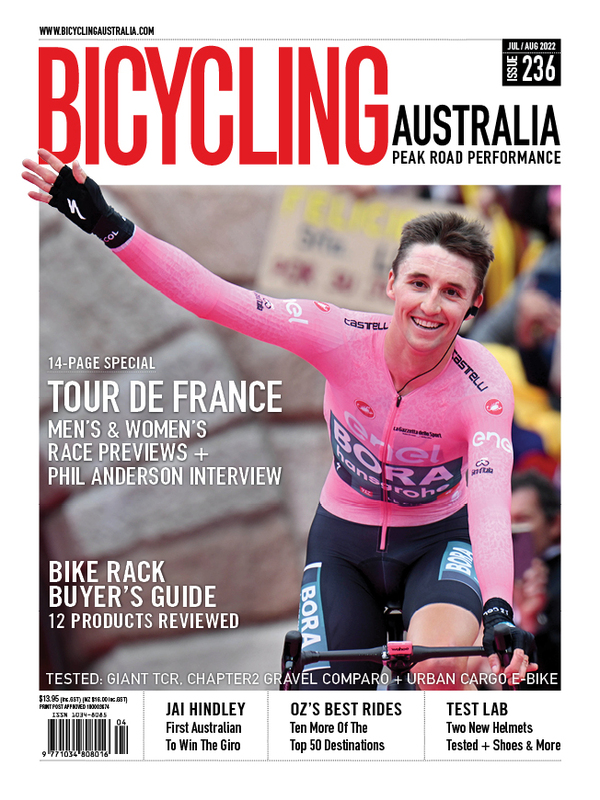 Indeed, unless you look closely and tap the frame, you would likely assume that the Emonda ALR5 is a carbon frame. In addition to the hydroforming process, Trek utilises what it coins “Invisible weld technology” (IWT). This is, in essence, a way of specific joint preparation designed to minimise the amount of weld material required, especially the amount that protrudes past the surface level of the tubes. The result really is quite impressive though; the ALR5 weld locations are basically imperceptible. The combination of these two fabrication developments is that the rim brake version of the ALR frame weighs in at an impressive 1112g; a figure that many low to mid level carbon frames would not be ashamed of. 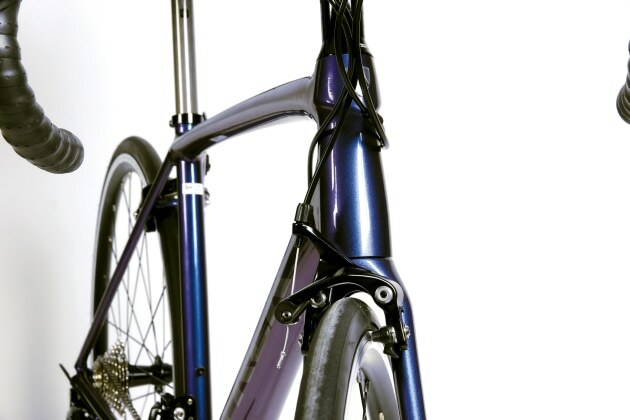 Reportedly the strength and stiffness figures of the frame are also fairly close to carbon frames. This all sounds fantastic; maybe this is indeed the object of desire to satisfy the metallically inclined cyclist. Part of the dilemma, however, is that a bike is so much more than just its frame. The ALR5 is adorned with Shimano 105 componentry throughout, Bontrager Affinity rims and assorted other Bontrager parts. All of these components fulfilled their job description satisfactorily. The direct mount rim brakes were a standout, delivering excellent stopping power and control. The sum of the parts means that the bike as tested, without pedals, weighed in just under 9kg. This weight was noticed at times during the test rides. I rode the bike for several hundred kilometres. It was easy to ride, handled with predictability and confidence. This comes from the evolution of frame geometry which Trek has developed in the Emonda frame range. The H2 fit of the ALR5 is slightly taller in the front end than some geometries, but is a good all-round position for the majority of riders. Once pointed uphill the 9kg weight became evident, the bike still felt okay and the compact gearing worked nicely on steep inclines, but any potential for that sensation of being “light on the pedals” was numbed by the overall mass of the bike. Once the hill was crested, the Trek came back into its own and felt sublime weaving down long inclines assuredly. At this point it needs to be said that the weight and performance of the ALR5 was overall quite good, and such that it can hold its proverbial headtube up high in the sector of the market in which it finds itself. 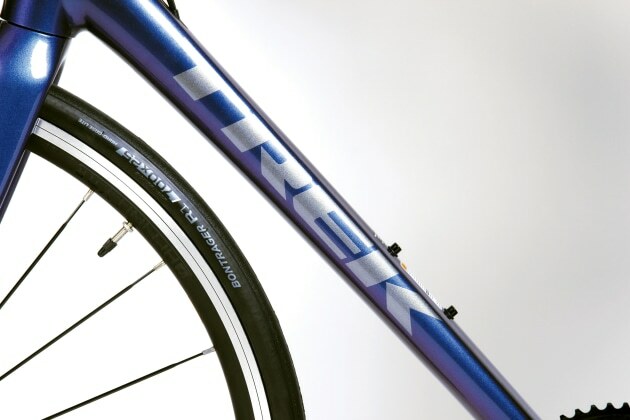 I think that Trek has strategically chosen this lower end of the road market (RRP $1999) to test the public reception to the return to aluminium. It will be very interesting to see, if sales go well, whether they choose to pursue higher end models, perhaps even with features more aligned with the aerodynamic direction the market has already gone. The overall package that this bike delivers for under $2000 is of an excellent standard. 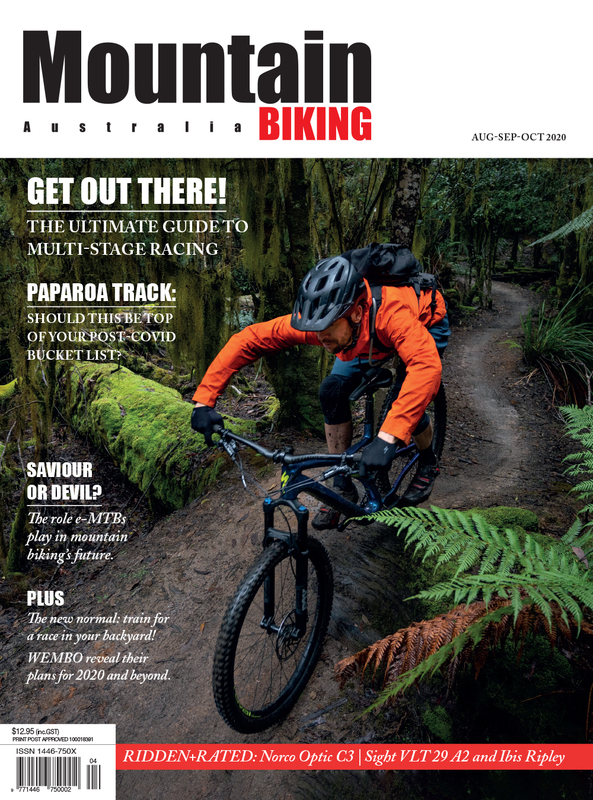 The 105 shifting is reliable as always and the Bontrager wheel and tyre package was solid. The handling and control aspects were confidence inspiring for descending and cornering. A sound and well-designed frame which is manufactured to high standards. The finish and paint job on the frame is excellent. When matched to reliable componentry, it makes for a quality all round ride. This is not a pure bred race machine, but at the price, you cannot ask it to be. It rides smoothly and doesn’t complain on any terrain, the ride is comfortable without being too spongy. Handling is predictable and confidence inspiring under braking. $1999 gets you a lot of bike here. 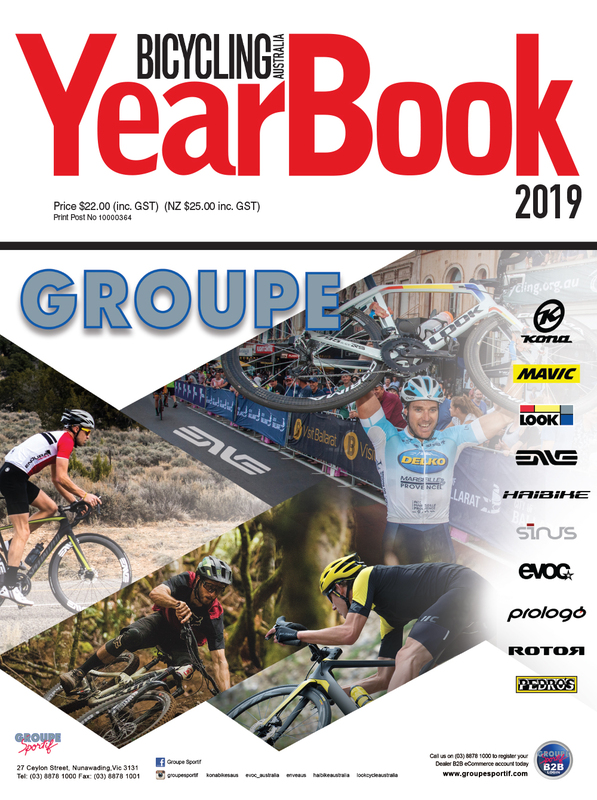 If you are looking to race, maybe look elsewhere but for those not needing that last 5% and who are on a budget, this is definitely worth a look. This is a bike not intended to set your world on fire. It does tick all the boxes for a well rounded road bike that feels like it will last a lifetime and that is engineered with intelligence to deliver a good ride under a range of terrain and conditions. It comes at a very affordable price and probably over delivers.